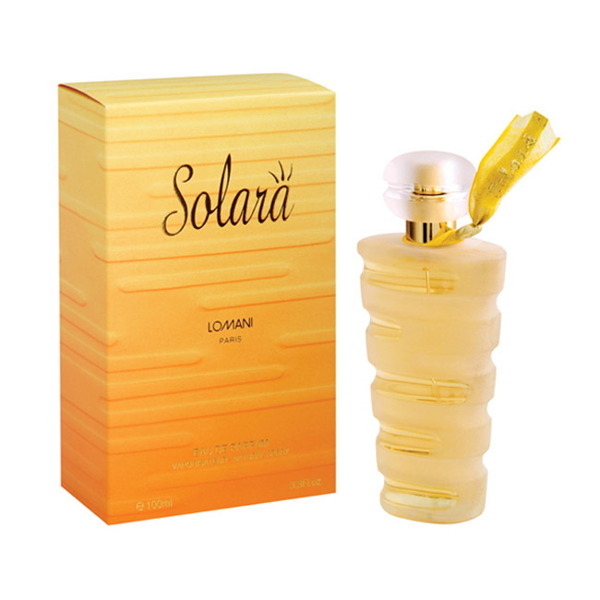 Lomani Lomani Solara EDT Perfume Spray Solara means solar light. Rose and jasmine is recognized with lily, ylang-ylang, orchid, vanilla, orange blossom and golden plum. Solara, magical flower that broke the sparkling notes of lemon and pineapple, ginger and galbanum. Rare flower by its woody notes of cedar and sandalwood, from balms and amber. Product #: Regular price: Rs.1350INR895(Sale ends 01 January ) Available from: DeoBazaar.com Condition: New In stock! Order now! 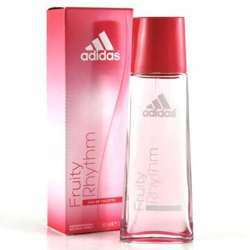 A sunny perfume with light, delicate scents, which accompanies those who wear it. Solara, a perfume whose mysteries are revealed, little by little. 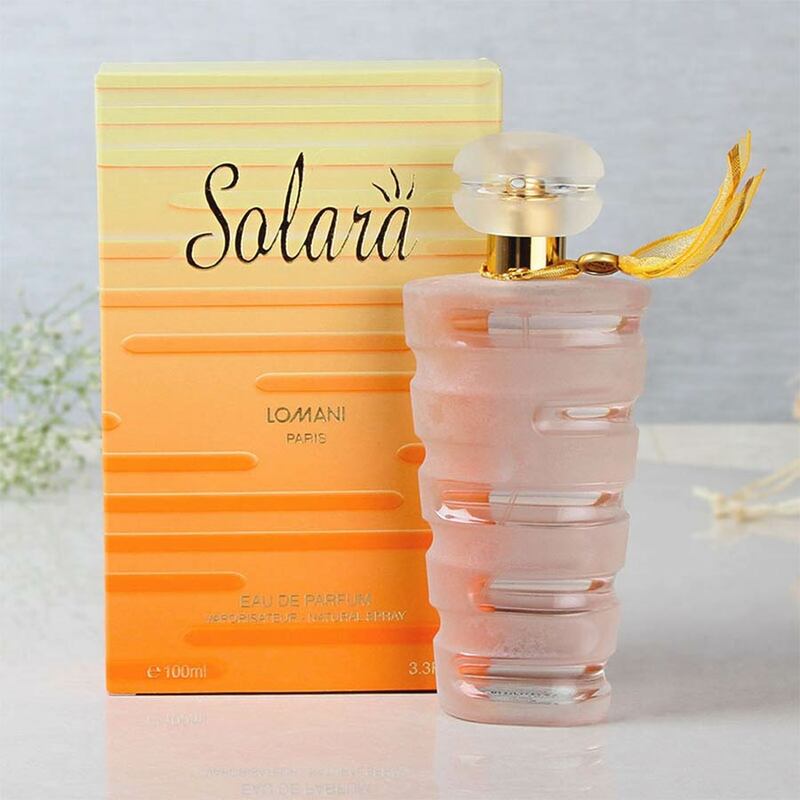 Solara, a perfume that Lomani dreamt of creating just for you. Solara… a bewitching flower. Rose, jasmine, lily, ylang-ylang, and orchid can be recognized, along with vanilla pods, orange flower and golden plum. Solara, a magical flower blossoming with sparkling overtones of lemon, pineapple, ginger and galbanum. Solara, a rare flower with its woody notes of cedar and sandalwood, balsam and amber. Solara, so delicate, responding to the desire to be extremely feminine.